Those of us who live here in Mexico probably do much the same things that you do every day. Food shop, clean house, exercise, visit friends, read, write, take naps, volunteer, etc. Most of the immigrants I know are retired and live here either part or full-time. We’re from Canada and the U.S.A. for the most part, but Australians, New Zealanders and South Africans are among us, too. 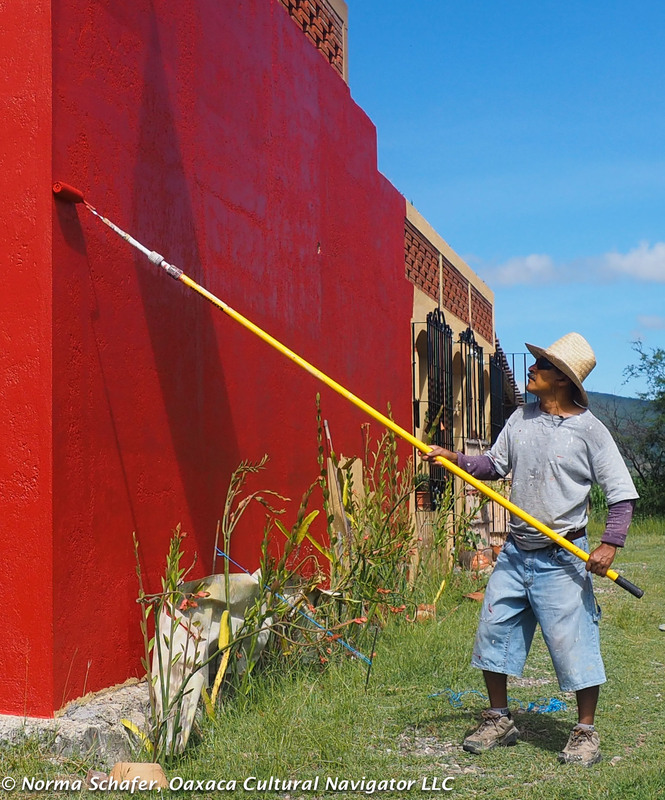 Oaxaca Red casita color. With Gar Bii Dauu. Local endangered succulent. 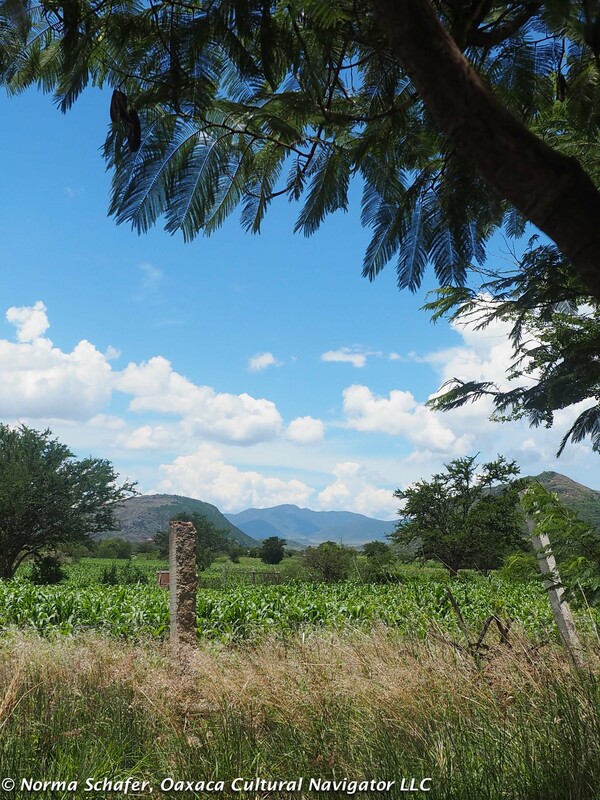 Living in Teotitlan del Valle is different from being a city dweller. 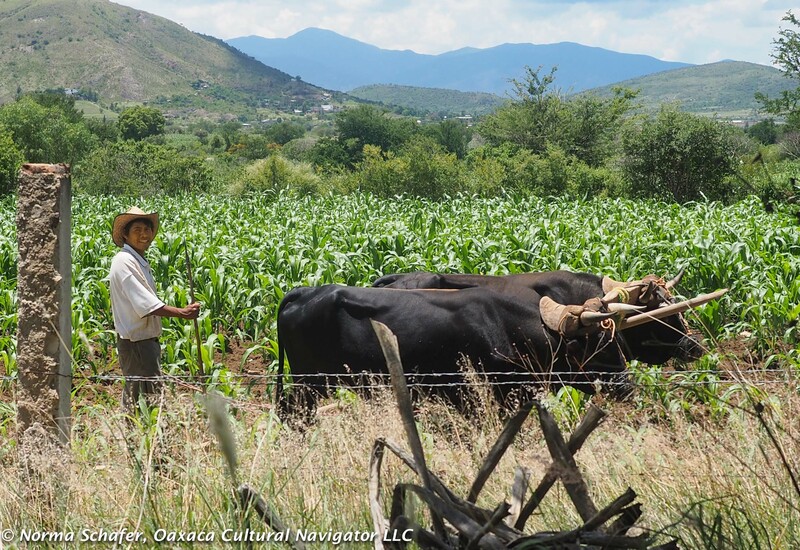 This village of indigenous Zapotec people holds to a strong, powerful and ancient culture. Many work at weaving wool rugs. Some are musicians. Others are shopkeepers or run comedors. Some are bakers and butchers. A few sew clothing. Many are farmers. In times when there are fewer tourists, many weavers supplement their income by growing and harvesting food. I live in the campo. 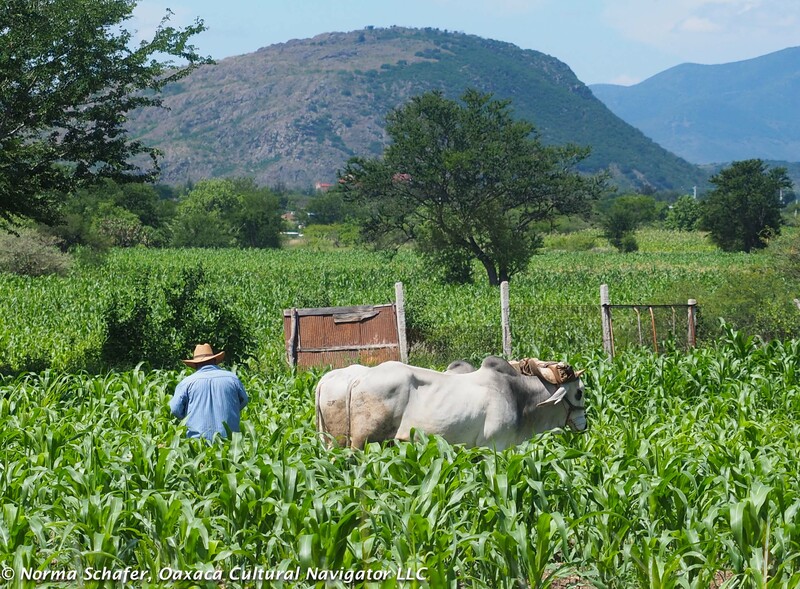 Out beyond the hubbub of town, amid the traditional milpas of corn, beans and squash. I’m surrounded on three sides by maize fields. Some are tasseling now. Here, the tradition is to plow the furrows when the corn is waist-high to break the crust and allow rain to penetrate earth. This is living close to the soil. Organic. Honorable. It’s rainy season. Green stretches for miles. Today I awakened to whistling. 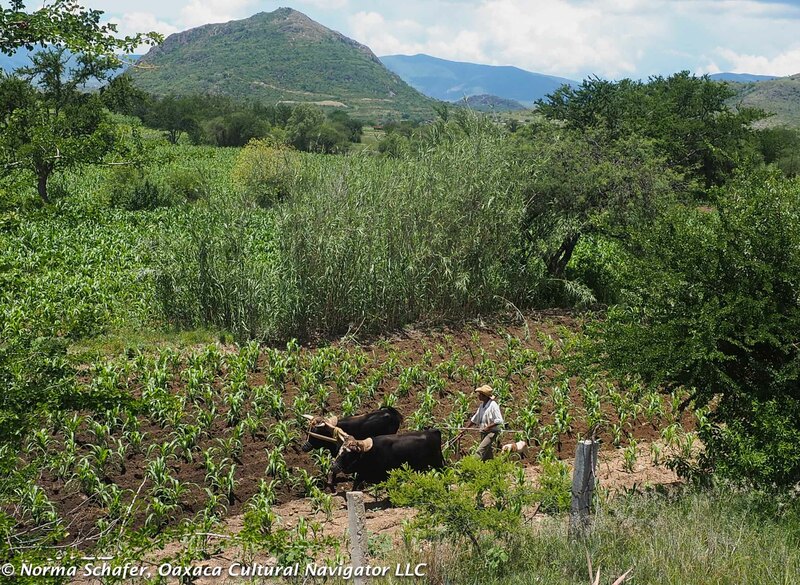 Out my window was a young man driving a team of bulls plowing the field next to the casita I live in. Rene’s Volkswagen van. Can you guess it’s vintage? I grew up in Los Angeles. Miles of freeways. Concrete. Tiny lots separated by six-foot block walls. School yards paved with asphalt. I remember scraped knees and elbows. The hum of car engines passing. We were all jammed together, a jam of humanity. Even more now. Gridlock. I think I’ve become a country girl. The crop was planted in July. There wasn’t much rain in June and farmers worried about another year of drought. In my absence over the last five weeks, seems that weather has played catch up and everything is growing. Two teams of bulls on two days, one white, the other black. Take a rest. The young man plowing the field rents out his services. His two bulls are tethered with a hand-hewn yoke that supports a wood plow. He guides the curved stick deep into the earth with one hand to keep the furrow straight. In the other, he holds a switch that gently prods the animals to keep on the straight and narrow. Farm machinery cannot do this job well enough. A perfect day for plowing the fields. From my living room window. This is his second day at it. Both days, he started at eight in the morning, ended around two o-clock in the afternoon, just before lunch. People work hard here. Five plus hours plowing the field with no break in the heat of the day. The monotony of walking back and forth. The patience of walking back and forth. My friend, plumber and handy-man extraordinaire René asks me if I know what the greca (Greek key) symbol means that is woven on village rugs. 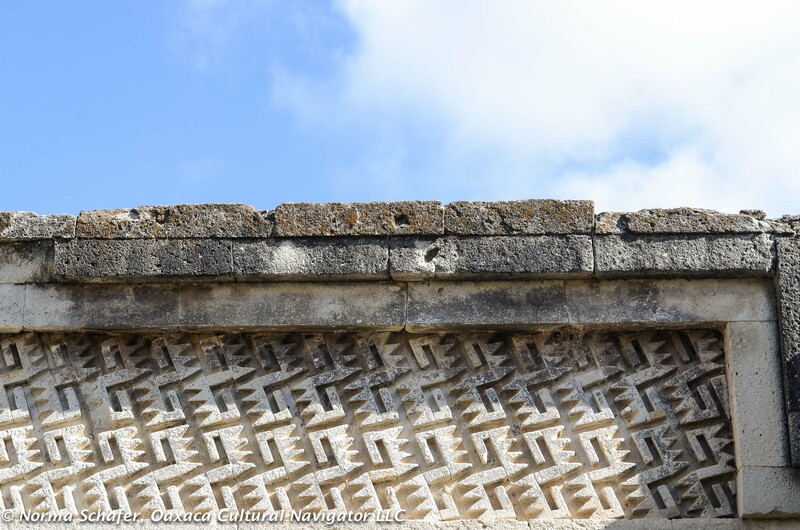 It’s the step-fret carved into the Mitla temple walls, I answer. Yes, and more, he says. The ancient Zapotecs believe the two interlocking hands that form the pre-Hispanic greca represent the serpent deity duality and the life-giving connection between earth and sky, water and fire. Rene executing the transformation. Beige to red. Symbol of change. We are eating lunch and the thunder is rolling in. The sky darkens. Earth gives off the aroma of on-coming rain. The just plowed field next door will soon drink its fill. René packs up his painting supplies. Paint does not do well with humidity. The exterior walls of the casita I live in are getting a makeover. The wasband liked beige. I’m in the mood for Oaxaca Red. Enter your email address to get new posts. Zayzelle: Dress Simply is our new clothing line, one dress, one-of-a-kind, one size fits many, imaginative cloth. Plus, jewelry and an easy-to-wear pullover scarf. Keep checking back for What’s New. Click image to order yours! 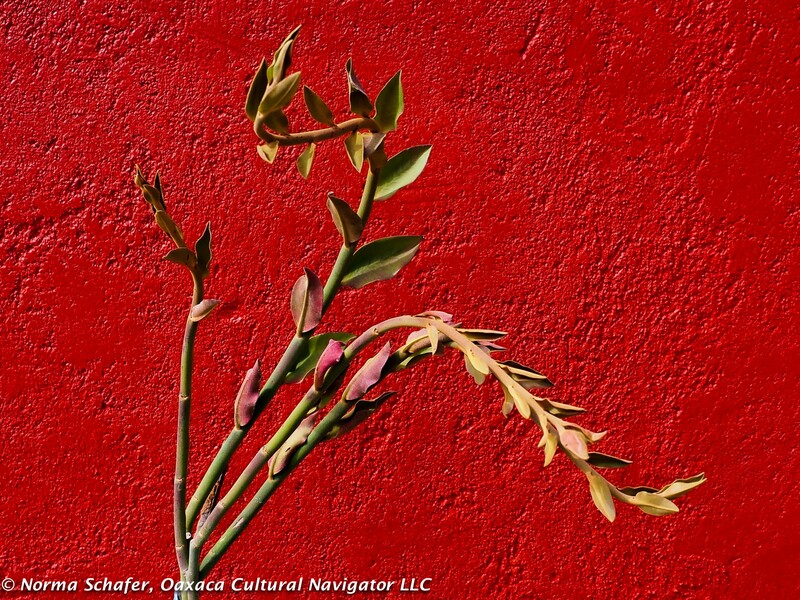 Norma Schafer and Oaxaca Cultural Navigator LLC has offered programs in Mexico since 2006. We have over 30 years of university program development experience. See my resume. Study Tours + Study Abroad are personally curated and introduce you to Mexico's greatest artisans. They are off-the-beaten path, internationally recognized. We give you access to where people live and work. Yes, it is safe and secure to travel. Groups are limited in size for the most personal experience. Programs can be scheduled to meet your travel plans. Send us your available dates. Designers, retailers, wholesalers, universities and other organizations come to us to develop customized itineraries, study abroad programs, meetings and conferences. It's our pleasure to make arrangements. Weaving & Dyeing All Year. Set Your Own Dates. 1. Oaxaca Natural Dye Workshops: Choose 1, 2 or 3 Days Custom dates to fit your schedule. 2. 4-Day Tapestry Weaving Workshop: Dancing on the Loom Set your own dates. 1-Day Natural Dye + Weaving Study Tour. Visit home studios. 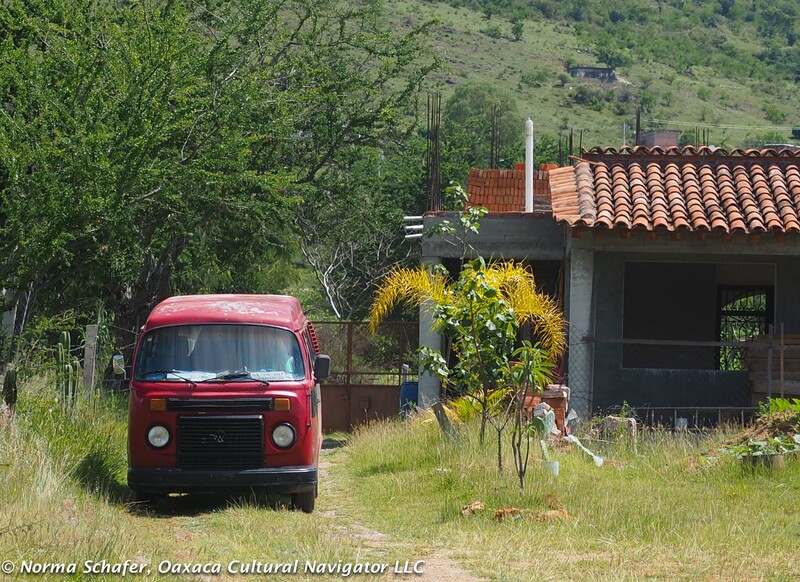 Includes lunch, transportation to/from Oaxaca city. Ask us to arrange yours. Day of the Dead Women’s Writing Retreat: Memory as Inspiration, October 30-November 4, 2019. Visit cemeteries and altars. TWO spaces open for a shared room. 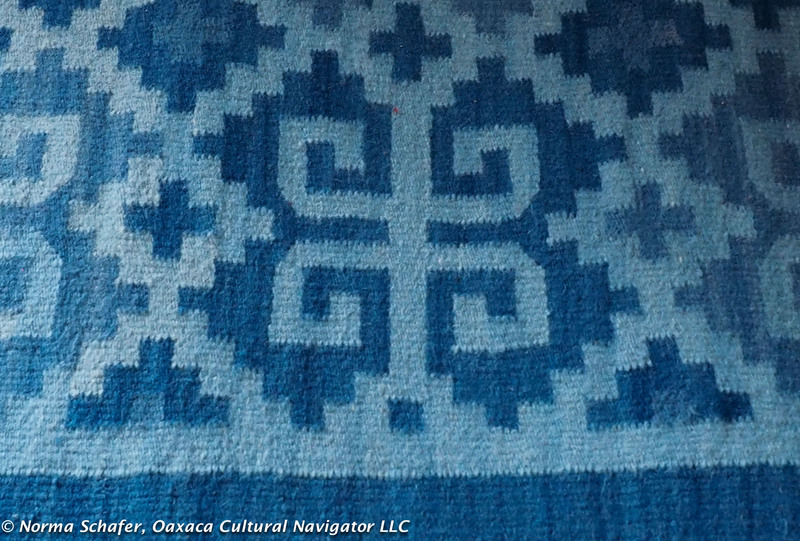 Oaxaca Coast Textile Study Tour, January 18-27, 2020. Registration is open. SOLD OUT. Chiapas Textile Study Tour: Deep Into the Maya World, February 25-March 4, 2020. Don’t miss out! 6 spaces open.